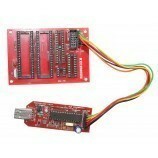 AT89sXX USB programmer is a in-circuit programmer for Atmel AT89sXX controllers. 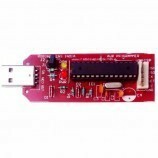 The programmer uses a firmware-only USB driver, no special USB controller is needed.It is complete solution for programming popularAT89sXX series of micro controllers with ease. This is a USB based programmer. It is fast so programming MCUs is now a whole lot of fun. 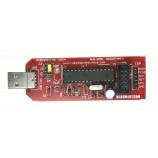 Product Image of AT89sXX USB Standalone Programmer. 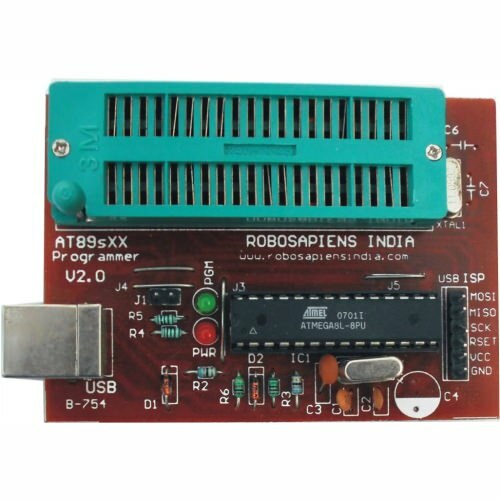 Features of AT89sXX USB Standalone Programmer. Compatible with Linux, MAC OS, Windows XP, Windows Vista and Windows 7. Both 32bit and 64bit versions are supported. Kit Content of AT89sXX USB Standalone Programmer. USB cable A to B type. 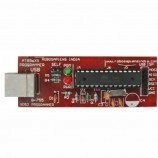 Also searched as: Buy 8051 programmer, 89S51 programmer india, Buy Atmel 8051 usb programmer.